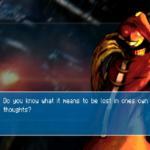 Sinless is a mobile game that combines visual novel and adventure game mechanics. 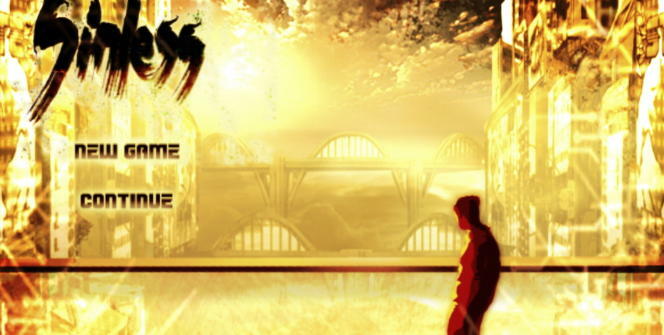 Released by MGP studios and available for all iOS and Android phones and tablets, Sinless offers a mobile sci fi experience we have not seen matched in some time. This point and click indie game combines stunning visuals with a killer musical score that add an extraordinary level of depth to the world. Planned out as a trilogy, the first episode (“The Reveal”) places you in an ominous and ruined world, where neon lights and corporate structures invade your peripherals. In this highly sophisticated dystopian future, human augments have become the norm and average citizens live under the control of a New Order. The corporations Omnicorp and Titan maintain control of the population through the production and mandatory use of “ports”, cybernetic implants that control human emotions. They claim the ports help people become “better and more efficient”, and that “an efficient individual is a happy individual”. Is this starting to sound like a cyberpunk game yet? One aspect of Sinless that is unmistakably well done is it’s beautifully stylized environments and sounds. Attention to visual design is one of Sinless’s strongest characteristics and is downright impressive. The bright lighting effects and wide color palette make the environments lush and extremely pleasing to the eye. If you look hard enough you will even catch reflections of other pieces of furniture in some of the rooms and areas. I can’t help but compare the world of Sinless to that of Bladerunner, Dredd, or Total Recall (2012), as the visual aesthetics stand right alongside these cyberpunk classics. Sound plays a huge role in setting the overall tone and ambiance of Sinless. The sound effects and musical score are top notch and might be some of the best I have seen in a comparable mobile game. Through musical and visual composition, Sinless creates a depth of feel and emotion that are refreshing and engaging for the player. Most mobile point and click adventure games do not nail these two features down, but Sinless excels in both categories. I’d recommend wearing headphones while playing, so you can really appreciate the sound effects the way they were intended on being experienced. 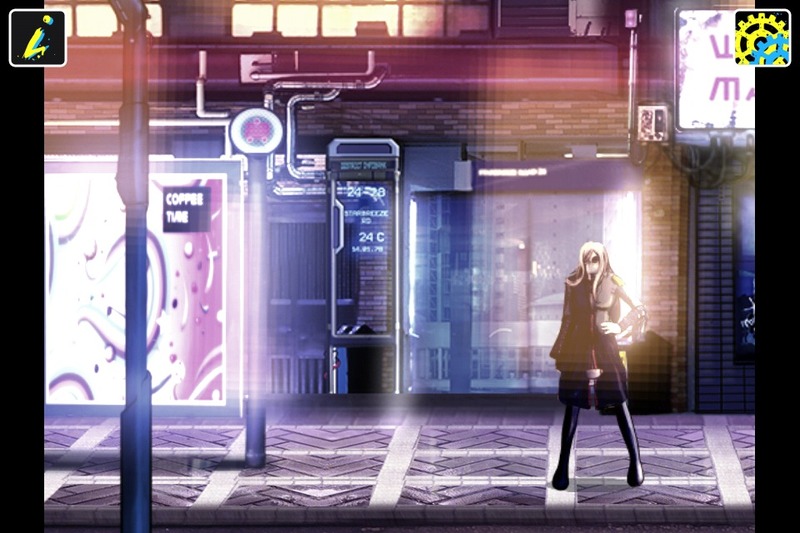 You really feel highly immersed in Sinless’s cyberpunk world. Navigating the game’s first person world is simple. The player moves by clicking various touch points within individual areas, or pulling the screen to look in different directions. These touch points will navigate you to another place or give you information about the world via a dialog box. I found these touch points to be awkward at first, since they are not marked on the screen for the player to see. You may have to click around a bit to get a feel for them, but it doesn’t take long. 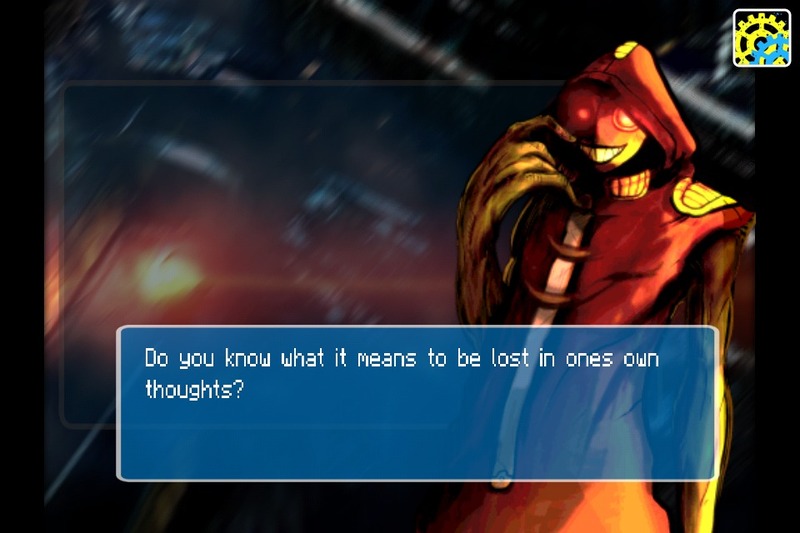 If you have ever played Snatcher for Sega CD, then you will probably be familiar with Sinless’s dialog and conversation style. 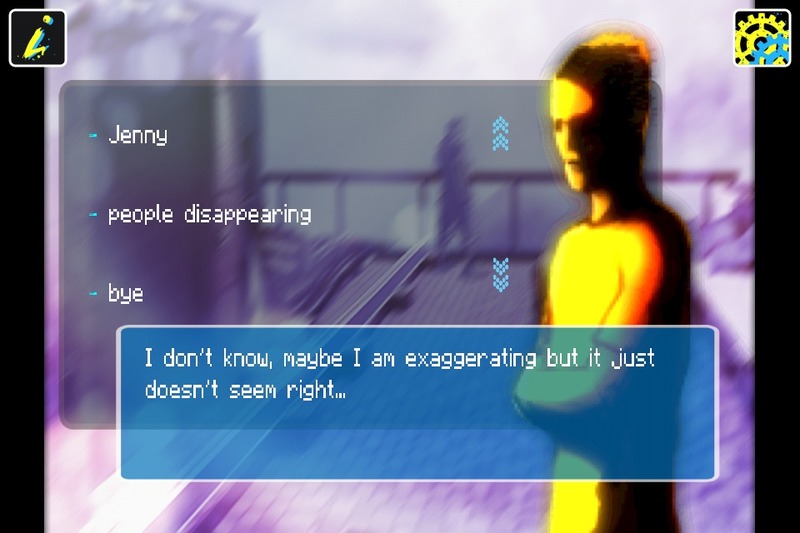 Another thing Sinless does a great job of is engulfing the player in the stories narrative and world. The narrative of Sinless is interesting and at times deeply cerebral. Throughout your quest you will encounter various characters from different parts of the city via world map, all with interesting and unique things to say. Though there are a few friendly conversations to be had, most characters don’t really chit chat with you. Instead they act as points to keep the pacing and story moving. Considering that this is a mobile game, it was definitely nice to be able to make progress quickly. Having too many available characters to BS with would likely get boring quickly and take away from the main story line. The conversations play out similarly to that of Shadowrun Dragonfall, where the NPC’s you chat with act as information hubs, allowing you to choose a key phrase which will further the conversation and give you more insight into the story. MGP studios has created a enveloping point and click experience that carves out it’s own little piece of cyberpunk fiction. 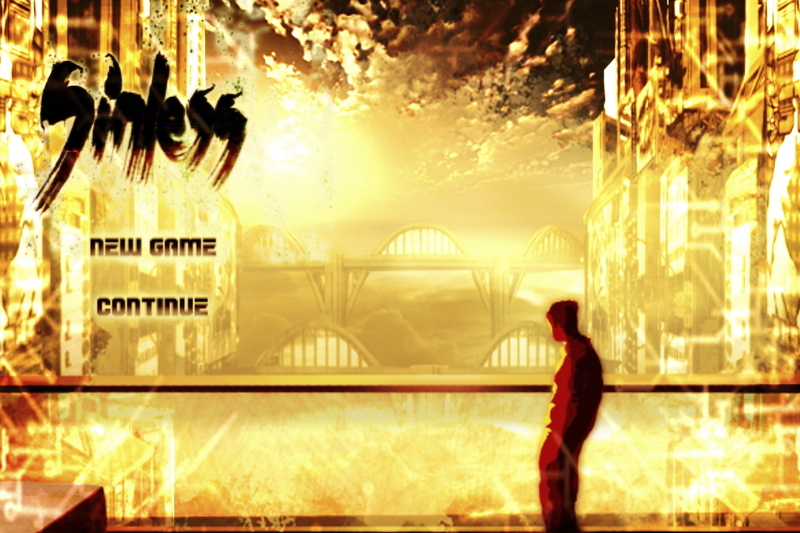 Sinless combines a well-rounded set of features that excel over many other point and click games. 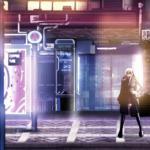 With stellar sound and visual effects, and a narrative that keeps the player deeply engaged every minute of gameplay, Sinless stands out from the pack. In a mobile world that lacks competition of this caliber, Sinless is a unique cyberpunk experience that any fan of the genre will enjoy. Sinless is now available for itunes and android devices for $4.99. The full soundtrack is available on soundcloud. What do you think of Sinless? Let us know in the comments section below! 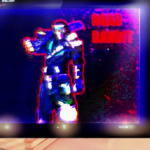 Ralph is an avid retro gamer and indie game aficionado from New York. NES titles like Contra, Metal Gear, Shatterhand, and Metroid were the first games he ever played and he's been hooked ever since. 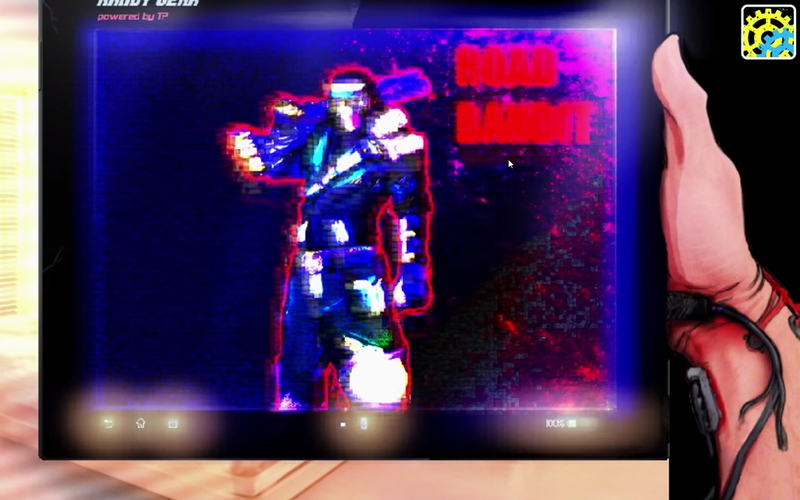 In his free time he plays guitar, steam games, and writes for RETRONUKE.com. His Twitter handle is @ralph_durso where he tweets about his favorite indie games. 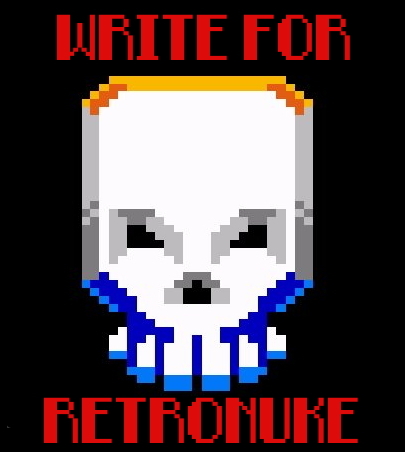 RETRONUKE.com is an indie gaming blog that serves as an homage to the pixelated games of the 80's and 90's. We love pixel art games and strive to be a community hub for fans of this cherished style. If you're feeling nostalgic, but are looking for something new, our content explores the resurgence of retro indie games for PC and STEAM. If some of your favorite classics are games like Contra, Metroid, River City Ransom, or Super Mario Bros, then our content is for people like you. Read our reviews, or submit your game to our writers and we'll help you spread the word. Join our indie game blog and celebrate the games that inspired us growing up.